You might have seen my previous blog post. In that post, Pratik Machchar shared a things about his PMP journey. This post is continuation of that post. 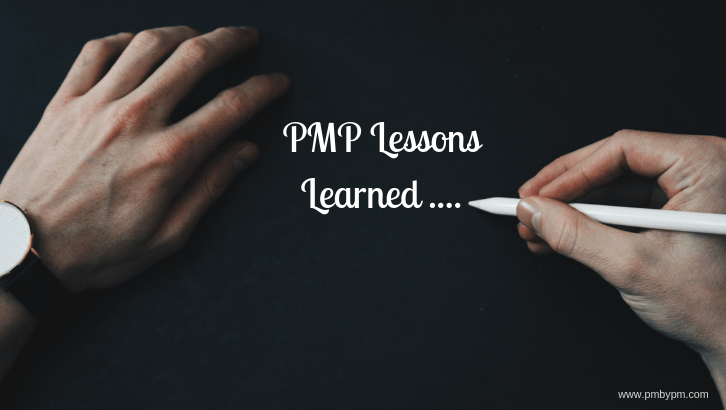 Here, Pratik has written about the lessons learned during the PMP exam. You should read the first part of this post before reading further. I would like to thank Pratik for sharing his valuable experience. Here are the lessons learned by him. 1) Why it is important to book a date? I strongly suggest booking date of exam to set a deadline and become serious about studies. Things were never serious until I booked my date. Luckily PMI forced me to book my dates as PMP exam is supposed to change to include questions from new PMBOK 6. I booked my exam on February 24, 2018, and I just had around 25 days to take the exam. 2) Do you need to study and remember PMBOK to pass PMP? PMBOK had been a sleeping pill for me. Every time I dared to read the PMBOK I fell asleep. It took me around four months to go through PMBOK once. I finished it in August 2017. While starting again in February I could not recall any of the PMBOK content. Reading it again was not my cup of tea so I skipped it entirely during my final studies. I just read the glossary of PMBOK. If you are like me and can’t handle the dry content of PMBOK, don’t worry follow Rita Mulcahy’s book and you can pass the PMP exam just like me. I believe that PMP ITTO is one of the main reasons for exam fear and one of the main cause of delaying the exam date. During my first and only read of PMBOK, I could not remember any of the ITTO. It was too much for me to remember. During the last 25 days of the exam and even on the day of the exam I could not remember any of ITTO. It is perfectly fine if you are like me and can’t remember or do not have time/energy to remember ITTO. Rita’s process chart helped me to connect different processes and helped me to identify ITTO. Memorizing ITTOs is a waste of time. Instead, know the processes and their real-life application, and it will become evident what they are needed for in each process in terms of inputs, tools, techniques, and outputs. 4) Do I need to take lots of practice exams? It is recommended by many people to take as much as practice exams as you can. I had no time to do practice. My practice was limited to the end of chapter questions of Rita’s book, end of the chapter questions of Joseph Phillips’ and just 200 questions from Rita’s simulator. For every incorrect answer, I checked my understanding and made a note of them. I all solved end of the chapter questions two times. I had been fortunate enough to be part of a WinningPMPlan WhatsApp group wherein we discussed many questions and learned a lot. 5) Do study partner / online groups play an important role? I had no study partners, I had been part of the Mumbai chapter of PMI. In one local event, I got in touch with Mr. Sandip Karia. He introduced me to one excellent WinningPMPlan group on WhatsApp. This group played a major role in passing my PMP Exam. During my inactive period of six months, this group was the only point of contact to the PMP world. WinningPMPlan kept me updated. I was fortunate enough to get my Mentor from this WhatsApp group. This group is blessed with experienced and committed members like Vidyesh, Vidhi, Matt T., Sharique Siddique, Rajeeb, Ambi, Azaz, Tijo, Anand, Smita, Koyal. I strongly suggest you be a part of this group. Please contact me if you wish to be part of this wonderful group. 6) Importance of a mentor. During my last days of the exam, I was very much under pressure because of workload, I was not having enough time to prepare. Thanks to the guidance of my mentor, Muhammad Faisal, I was able to focus on the most important things to do in the short time I had. The suggestion to read PMBOK glossary was the best suggestion I would recommend for anyone who is preparing for PMP. 7) Do you need classroom training? It depends on your style of learning. Classroom training is expensive and time-consuming. As a result, the cost-benefit ratio is not optimal. If you are on a budget, expect to get the same content and your 35 contact hours online for less than 10% of the cost. I did not take any classroom training. I joined the online course of Joseph Phillips to claim the 35 PDU’s needed for the exam. And it worked perfectly with me. 8) Do you need to Brain/Memory Dump? I memorized and dumped all EV formulae. It took me around two and a half minutes to dump it on paper. I was fortunate enough to get many questions based on EV. Congratulations, you made it to the end of this rather long write-up. If you are on your way to get your PMP certification, I wish you every success for your exam. This article reflects my personal experiences and opinions. Your experience may be completely different, and you may not agree with a lot of things I wrote. This is perfectly fine. If you liked this article, please share it with your friends, colleagues, and others in your network. DISCLAIMER: The ideas expressed in this article are the author’s personal views and are not a representation of any of the organizations he is associated with in any capacity. “PMI,” “PMP”, “PMBOK” are registered marks of Project Management Institute, Inc.
Special thanks to my son Vyap for proofreading this post. How helpful are these lessons for your PMP journey? What extra things would you like to add here? Do You Need To Memorize PMP Formulas? I have reviewed “Best On-line PMP Certification Training Courses” from the Training Guide. Question: Are you able to provide an approximate “Ballpark” dollar amount for anyone attempting to receive a PMP certification. I understand that there are many options, variables and courses to consider. Hence the question. 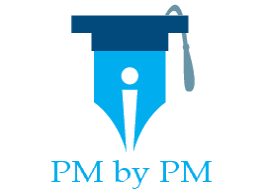 Hi Udo, You can review my article on PMP certification cost – https://www.pmbypm.com/pmp-certification-cost/. It should answer your Q.